Even when Blue Prize shied twice from a shadow that was cast in the 3-path as the sun was setting at Keeneland, she held on to win in a very gallant effort. She and Champagne Problems were projected to complete the Exacta, with the latter filly offering more value. Eskimo Kisses didn’t get enough pace and she did nothing to suggest the 3 year-olds in this division have an advantage over their older rivals. One note of no consequence to the Distaff is the fact that the Super Screener Top Long Shot pick, Skeptic, was flat footed and completely unprepared at the start. Put a line through this race…she’s much better than where she finished. The pace for this race turned out to be swifter than projected, and that created an advantage for Wow Cat, who enjoyed a perfect trip. Divine Miss Grey ran a solid race, running close to the early fire and then held on well for a good second place finish. Teresa Z ran a deceptively good race, running very wide and could have easily been 2nd here. Looking for a live long shot in the Breeder’s Cup Distaff? Teresa Z is getting good at the right time, will move forward in a big way off this better-than-it looked effort and should go off at monster odds. This has been traditionally a key prep race for US-based contenders for the Breeders’ Cup Mile. 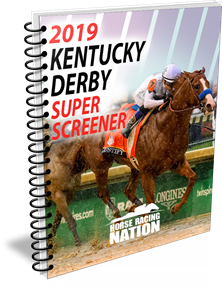 The Super Screener Top Long Shot pick, Next Shares, is in prime form right now and he got the perfect, ground-saving, unobstructed trip, closing into a fast pace to snare the win at 23-1. This was a legitimate win, and he’ll go to the Breeders’ Cup Mile as a live contender. And, despite the win here, he’ll still offer great value. Great Wide Open was the head-scratcher here. All the “good” speed fell back, but this over-achiever held his ground in finishing an improbable 2nd against a solid field…mystery. The Super Screener Top Win and Value pick, Qurbaan, was an easy 2nd place here had he not gone 4- wide around the first turn and then out 6-wide on the second turn. A surprisingly poor ride from Mike Smith. This one will be sneaky good on the come back and will be a Super Screener live long shot play in the Breeders’ Cup Mile. Not sure who was more shocked by this outcome…the trainer Ben Colbrook or the betting public. The way the Keeneland track was playing this past weekend, these fractions were really moderate and while the final time for the Futurity and the Alcibiades for 2 year-old fillies were identical, the fillies ran the much faster fractions. Dream Maker got knocked around coming out of the gate and clipped heals and had no chance after that. Derby Date submitted a huge middle move going very wide but looked good doing it and actually held on pretty well. Play this one on the come back…huge long shot play if he moves on to the Breeders’ Cup Juvenile. In the end, we don’t see your top Breeders’ Cup Juvenile contenders coming out of this race. Now, the top finishers exiting the G1 Champagne stakes could be key contenders alongside Game Winner from the west and Chad Brown holds a strong hand with both Complexity, who went gate-to-wire on a lone lead but doing so cutting swift fractions in the one-turn mile. Code of Honor stumbled badly and then went 5 wide which just cost him the race. He’s live at a price heading into the Breeders’ Cup Juvenile. Call Paul doesn’t look like a serious contender but Complexity’s stablemate, Aurelius Maximus does. His extremely wide trip cost him 2nd place in this race. He also showed a good turn of foot and one that will appreciate going 2 turns. While not a Juvenile contender, note that Casa Creed, a Super Screener Top Long Shot pick, had a poor start and went 7 wide. He’ll be a live long shot in his next race against easier. When Kenny McPeek proclaimed days before the race that Restless Rider was the best filly he has ever trained, that was taken with a bit of grain of salt. Well, the performance was a strong one and had she run in the Breeders’ Futurity the next day against the boys, she could have disposed of them as well. She didn’t get the greatest start but she quickly recovered and then just tracked the swift pace behind the dueling pair in front of her and then easily went on for the clear win. Reflect, who exited the same race at Saratoga, was a clear second closing the gap on Restless Rider from the previous start. Restless Rider is a solid Breeders’ Cup Juvenile Filly contender especially on her trainer’s home court. Coming into this race Covfefe appeared to be the one to beat off her big win at Churchill Downs. The Super Screener, however, was higher on the Barclay Tagg pair of Brucia La Terra and Cassies Dreamer who both closed well after tardy starts to finish 2nd and 3rd, respectively. Jaywalk took command of this race from the outset and laid down brisk fractions on the way to a runaway victory, however, as in her previous start, those last two furlongs were run in a relatively modest time of nearly :25. Screener is still preferring the Barclay Tagg pair heading into the Juvenile Filly as they should both relish the move to 2 turns while offering value. The Super Screener Top Long Shot picks in this race finished 2nd and 3rd and keyed a handsome $2 Trifecta payoff of nearly $1,000. Chad Brown had three in here. Off Limits was not considered a live contender and she finished in the back but the very fickle Quidura (better at Saratoga going longer) was a disappointment in every respect. Her stablemate went gate-to-wire cutting soft fraction throughout. Dona Bruja will not move forward to the Breeders’ Cup. If Indian Blessing does proceed to the first Saturday in November, she is a live bomber long shot “under”. She was squeezed back here and then was very wide in the final turn and showed a sharp turn of foot. She’ll appreciate longer. Historically, this has been a key prep for the Breeders’ Cup Filly and Mare Turf for the US contingent. Chad Brown’s star in this division, Sistercharlie, suffered a bruise to one of her hooves so she did not run here but her ultra consistent stablemate did and made short order of this field closing impressively from last to first into a very slow pace. This was a top effort from the hard-trying mare. Onthemoonagain was a solid 2nd and watch out with any kind of pace at Churchill Downs. Anyway you slice it, come the first Saturday in November it will be Chad Brown versus Europe and this year. As the Super Screener projected, Roy H replicated his prep pattern from last year and won this one rather easily with something in reserve. He’s coming into the Breeders’ Cup Sprint the right way and he’ll sit off Promises Fulfilled and Imperial Hint as they duel throughout and get the first jump on the closers. The Super Screener correctly faded Ransom the Moon here. With the compact field, he didn’t get the hot fractions he needs for his best. Becomes more of a player as they head to Churchill Downs as a viable “under” player. This was Promises Fulfilled race to lose and he didn’t…but it was close. Given no other real pace threat, just surprised the 3 year-old didn’t dominate this race. Vulnerable in the Breeders’ Cup Sprint battling with the likes of Imperial Hint in the early going? Limousine Liberal had a terrible trip (ride). Could not find a seam late but was loaded. Could have won this readily with a better trip. 3rd place finish here will yield more attractive odds the larger Breeders’ Cup Sprint field. If there ever was a top prep for a Breeders’ Cup race, this is it. So many winners and Trifecta players have exited this prep race over the time this race has been in the BC line up. The top six finishers in this race were separated by just over 2 lengths. It was a fairly run race so you have to give the nod to the top two finishers this race as the prime contenders for the Breeders’ Cup Filly and Mare Sprint. Miss Sunset had no real excuses and just wasn’t good enough here. A Breeders’ Cup race that has yielded success for the Super Screener over the years and it always seems to produce great value on the wagering front. The horse-for-course and top ranked Super Screener player, Bucchero, goes back-to-back in this race as the favorite (won it last year at 20-1+). He is heading in the Breeders’ Cup Turf Sprint in fine order but it was a blanket finish at the wire and you could make a case for any of the top 6 finishers. Extravagant Kid and Rocket Heat may have run the best races as they set the hot pace along with Done Deal and yet held on very well, considering, and they will be advantaged by the cut back in distance. Will Call had the perfect trip and his effort must be discounted here. Disco Partner won this as expected as a horse-for-course but what happens at Churchill Downs? 5 furlongs is too short for this one as declared by his trainer, Christophe Clement, and oddly enough, his stablemate, Pure Sensation, despite being advanced in age is much better going that abbreviated distance despite losing a step or two at this point. Keep in mind, when this race is run at 5 furlongs, you need to focus on a 5 furlong specialist as your prime win contender and Disco Partner is not that horse. ← Previous Story Super Saturday Recap – What It Means for the Breeders’ Cup! Next Story → Breeders’ Cup 2018 Recap – Longshots, Highlights & Cashes!